Bicycle Lafayette is focused on improving the experience of cyclists in Tippecanoe County through education and advocacy. When getting better is our primary goal, we sometimes lose track of the assets we enjoy. Tippecanoe County has some nice things happening. Within the county we have miles of bike lane, hiking/biking trails and roads with sharrows to serve utility and recreational cyclists. 2017 brought the first cyclotrack to our county as part of the State Street project. Myers pedestrian bridge provides an off road river crossing. Look for a map of bicycle infrastructure, a high priority for 2018. A number of local governmental groups plan cycle infrastructure and support in Tippecanoe County. Bike Walk Greater Lafayette is a countywide board that brings together representatives from the cities, Purdue and the Area Plan Commision to target safety and education. West Lafayette Bicycle and Pedestrian Committee advises the West Lafayette City Council. Lafayette is launching a Bike and Pedestrian Committee. Local cycle organizations enrich culture on two wheels. Tippecanoe Mountain Bike Association builds and maintains trails in the county. Check their site for trail maps and conditions. Lafayette Community Skate Park is open to BMX riders. CASA Challenge is an annual 24 hour ride on the Subaru test track that is always lots of fun for a good cause. Bike polo is hot in Lafayette! 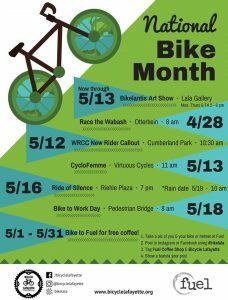 There are two dedicated bike shops in the county, Virtuous Cycles in Lafayette sells new and used cycles and accessories as well as repairs and offers Sunday ‘Open Stand’ to teach bicycle maintenance. 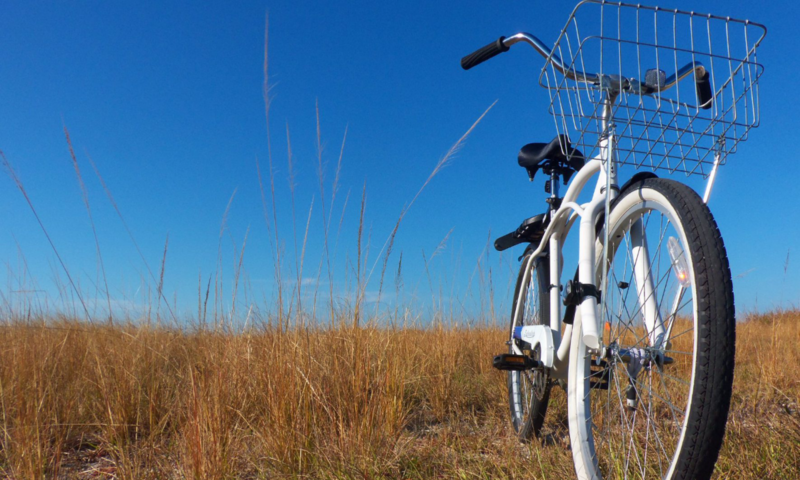 Hodson’s Bay in West Lafayette provides cycling and fitness equipment and maintenance. Both shops are great sources of information about local cycling. Where do we go from here? That is the rest of the story.